SSC CGL asks approximately 5-7 questions from Geography portion in the pre-exam. The asked questions can be broadly categorised into 3 major topics. In this post, we are sharing geography handwritten note, especially for SSC CGL exam. Download handwritten Notes from below link and prepare well for the upcoming exams. 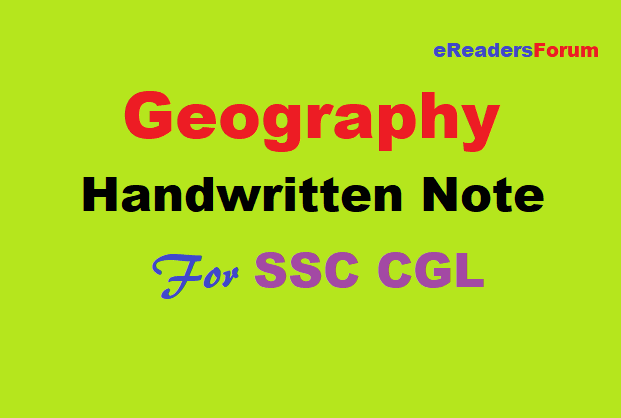 Click here to download SSC CGL Geography Handwritten Note. Click here to download Geography Handwritten Notes for All Competitive Exams.